For events with many guests and visitors, it is customary for people who are holding the event to look for ways to monitor the guests and maintain a smooth flow of activities. When holding an event, there are so many things to consider: food, venue, speaker, hosts, guests, invitations, advertisement, committee, sponsors, publicity, entertainment, and many others. It is not easy to handle these things especially when only a few people are organizing the event. Of the many things needed to work on while conducting an event, the organizer should look for ways that are less hassle and less stressful. Tackling one of the things most highlighted in an event, the food, the best solution for having an organized serving and presentation of food is through catering. So how does catering help in an event? Rather than carrying the burden of cooking food, putting them on trays, and serving them properly to the guests while entertaining visitors or doing other things necessary for the event, catering services would do the job of food preparation and serve so we can take a pause and entertain guests. You may also Marketing Business Cards. You might think that catering services are a bit pricey. Well, think of the benefits you will receive in exchange for the monetary amount. Does it compensate the services they provide? The answer would be a very big yes! Catering would surely help us in one aspect, food, and we will leave the work for the food preparation in the hands of the caterers. They are also the ones that serve the food to the guests. And, note, that they are not simply just serving it; they will serve it properly with elegant plating and proper presentation. 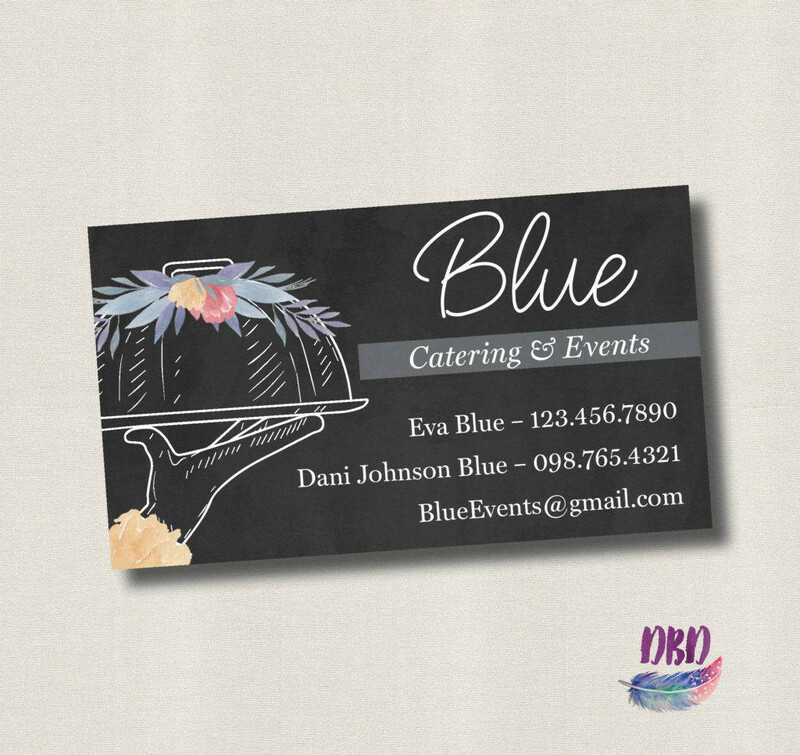 When you are considering having your catering services, you have to bear in mind that you need marketing strategies to boost your name to the public so that many people would want to hire your services. You need to endorse your name to prospective clients and customers. So, how can one effectively publish his or her name in the market? A business card would surely help. 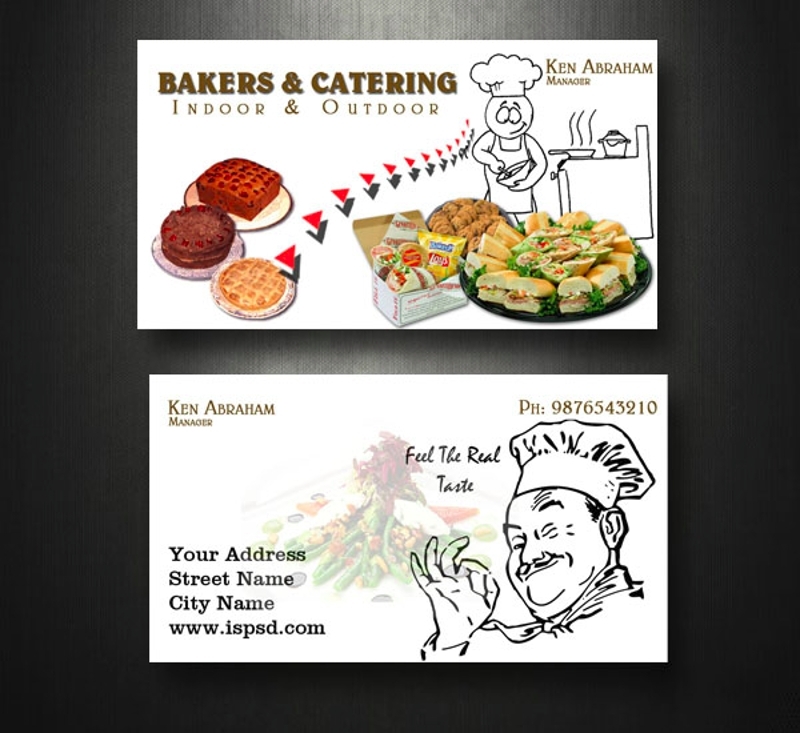 Because best business cards are personal and handy, it is convenient and easy to disseminate to a targeted market. Not only that, it contains information sufficient to let the customers know the catering services you are offering and how they will communicate and reach you and your staff. 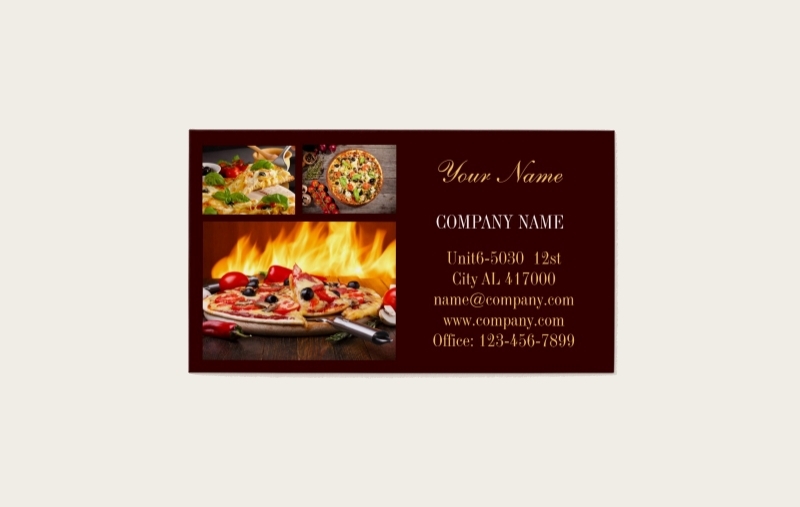 Here, we are offering you a variety of business card samples that you can choose from that will suit your catering business. Browse below for more examples. 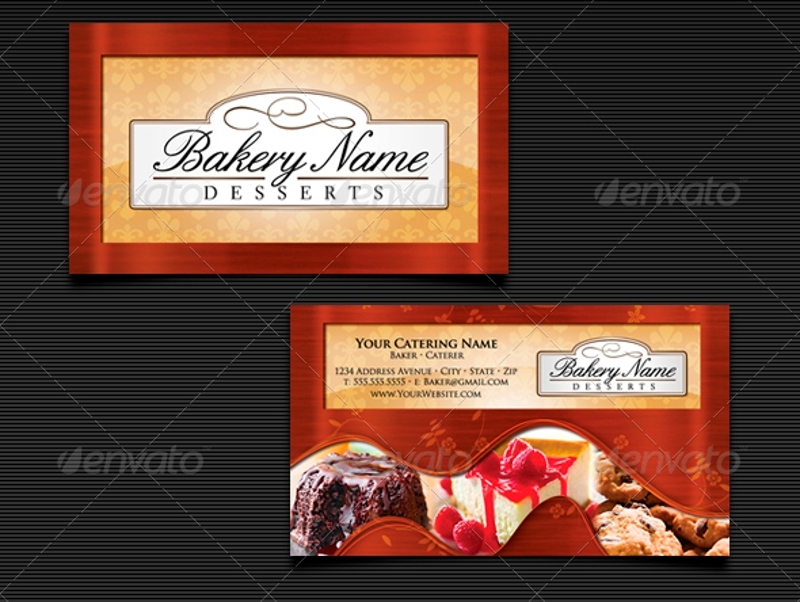 Here are examples of catering business cards with different designs. Each has its own unique design and theme. The decision in choosing the one that will fit your company’s profile and therefore be a representative image and advertisement of your catering services depends solely on you and your staff. To guide you with that decision-making, the examples below will help. You may also see the Luxury Business Cards. 1. Be fair with your pricing. We know different types of customers. Among those are the people who are willing to spend a huge amount of money for great quality services and those that will settle for less to pay less. While it is very tempting to bill at a higher price to those people who are not hesitant in spending money for catering, you must remember that your pricing must be consistent to all types of people and that you have a standard for your pricing. It is also important that you have a knowledge on your competitors, the menu designs that they are serving, their pricing, and the perks that they are having, which will help you know how to stay in the competition without killing the market. Not killing the market means that your price should neither too low nor too high in comparison with the competitors. It is not always better to lower your price so you can beat the other competitors. There are other marketing strategies that will work even when the price of your services is high. For example, you will add freebies or other perks to offset the high price of your offers. 2. Get the closest approximation of the number of guests. It is best to know the exact number of guests needed to be served so you can set the right price for your catering. You wouldn’t want to under cater where people will suffer from hunger or lack of food because you underestimate the number of guests. Neither would you want to over cater where you will dispose a lot of leftovers because you overestimate the number of guests. 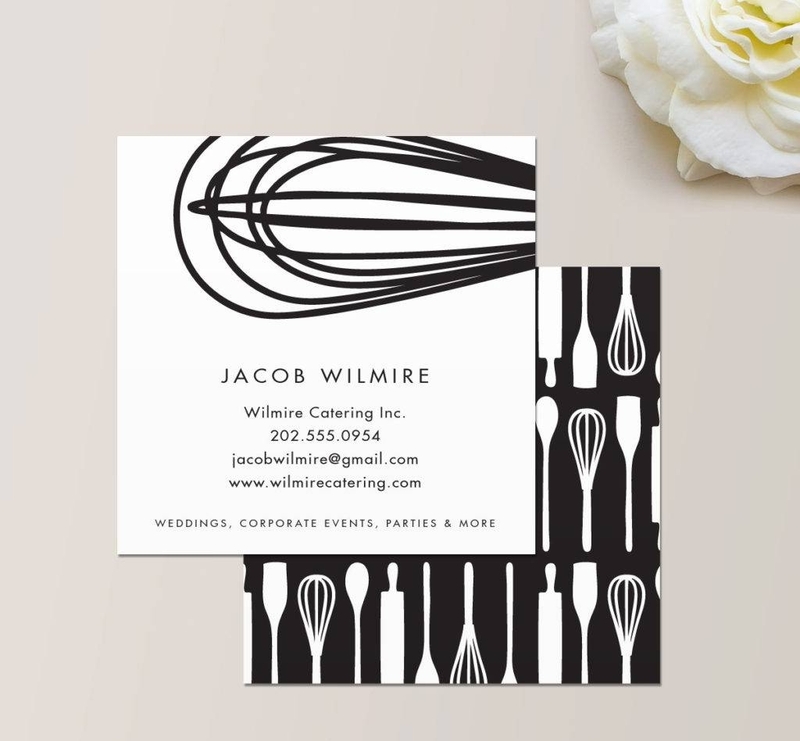 To answer the problem of over and under catering, many caterers would limit guest invitation designs to a certain number of people specified by the client and be strict with regard to gatecrashers. In this matter, a crowd will also be controlled. 3. Prepare a variety of menu options. The one-size-fits-all principle does not apply in catering since you have to be mindful of the different tastes of people. You need to meet the preferences of vegetarians or meat-eaters or those with special requests such as less oil or no onion or no pepper and other things alike. Though it is almost always not stated how many guests would prefer veggies, you have to get your menus ready so guests will feel that you are accommodating their preferences. With this, you never knew, if they are satisfied with the way you are serving them, they will become your clients in the future. So, do your best to please most, if not all, people or guests. 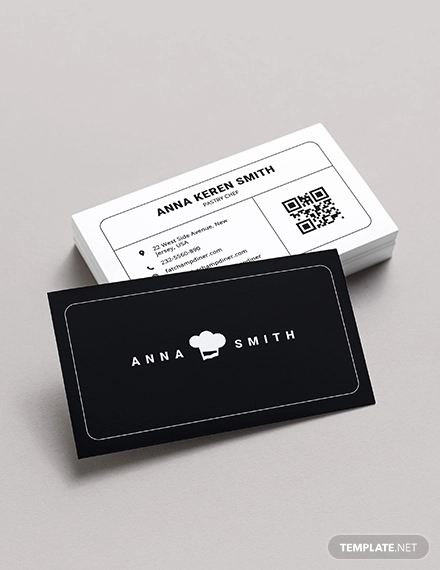 You may also see the Fashion Business Cards. 4. Support local shops. Be thoughtful enough to prioritize first the products that are available in your locality or neighborhood to support them and give something back to the community. It is great to know that businesses are interconnected with each other and every business is in support and anchors with another business in peace and harmony. Though competition is present, we will still work to help the growth of our economy. Do not just limit your thinking on the best ingredients that are available outside the country; instead, maximize your resources to its full potential and discover what else lies on the simple ingredients that you encounter every day. 5. Ensure your menu should suit the event. Another thing that you must consider is the kind of event that you are catering and what is the nature of such event. For example, if the event is held during noontime, it is pointless to serve breakfast meals or coffee or milk, etc. Another example, when serving a cocktail event, you wouldn’t want to serve food on large plates but there is not enough table and have a seat. Furthermore, it is inappropriate to serve chilled and frozen foods during winter. These are just some of the examples where you need to be more cautious about the menu you are serving. So, better to check first the venue, the type of event, and the time of the day when you will serve the food menu. 6. Organize your staff. The number of persons you must deploy to serve the food must not be too many to avoid congestion in the area nor too less where people with special orders or requests will be catered in delay. But, it should be sufficient enough to have a smooth flow of traffic during the event and smooth distribution of food. 1. Don’t give in to stress. It is already given that preparing food in a catering is a stressful job. But, don’t give in to stress! The key to having less stress is to plan well the flow of your services. Remember that the mood you are experiencing will resonate with your co-workers. Do not let them feel the negative vibes; rather, keep your senses active and work as planned since the foundation of everything is planning. Nevertheless, when your plans are great but you did not implement well your plans, you will not progress significantly in your catering services. In connection with this, do not cram when you are not on the track of executing your marketing plans. Just do what you can for the meantime and find ways to get your implementations be back on track. 2. Don’t forget to keep food fresh. Always remember to keep your food fresh and place it in the fridge if it is not yet to be used or cooked. Spoiled ingredients might result in food contamination and food poisoning, and you wouldn’t want that. You have to leave a good impression on the guests, and you have to clean your name from possible issues. 3. Don’t ignore customer opinion. The usual lapse of a catering entity is not receiving feedback from their clients and customers. Don’t ever fail to review their views and take action to their opinion. This is necessary if you want to grow and broaden your insight about serving people. In this way, you will have a guide and a little background on the food that is preferred by most people or the taste that almost everybody wants or simply the presentation and way of serving the food. This also serves as a survey on what food is sold out first or what food remains untouched. 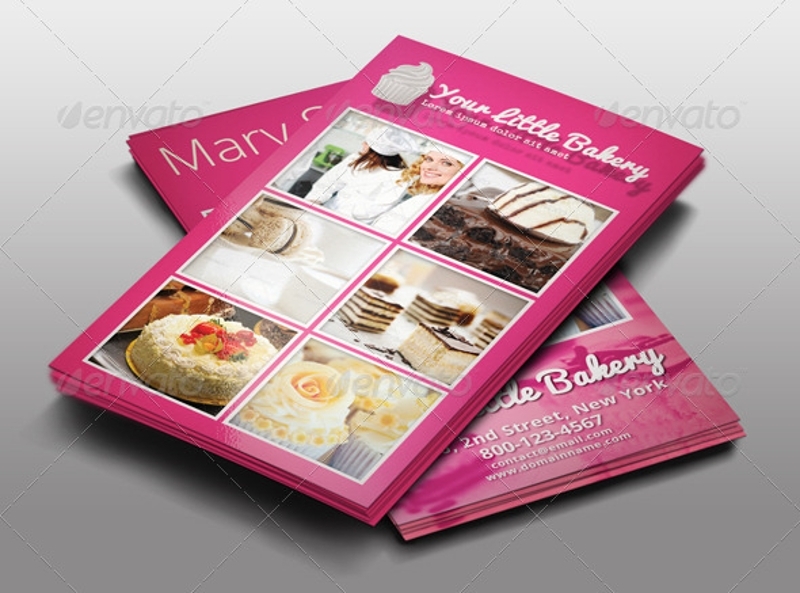 It is like connecting to the personal preferences of people and making it as a basis for your future art deco menu. 4. Don’t bombard guests with food. Never serve the food on the table all at once. Learn the sequence of serving food, appetizers first, for example. Let the guests enjoy the food first serve before serving additional or another dish. Observe the proper timing of serving food, and let them savor each dish that you are offering to them. Enough food on the table lets the visitors not only enjoy and savor the dish but also enjoy the company with other guests. When they get satisfied, they will surely crave for more and your perfect timing in serving the next food is crucial for the overall satisfaction of the customers. Customer satisfaction is important since it leads to customer loyalty and a network of customers. When you satisfy one customer, that customer will remember your catering at times when someone he or she knew is looking for such customer services. This will lead to more and more prospective clients resulting from that only one satisfied customer. 5. Don’t leave unreplenished trays on the table. It is a big no to leave unreplenished food trays on the table. Your staff must be observant enough to spot those empty trays and replenish them quickly. A quick note while replenishing the trays: stand at a convenient distance from the guest and excuse yourself while putting back the trays or plates. 6. Don’t permit your staff to be inappropriate while dealing with guests. This is to ensure that your staff is possessing professional attitude towards the guests. It is inappropriate that your staff will have a long conversation with the visitors for they are there to serve, not to socialize with people. Not only it will bother other visitors but it will also result in infectivity of his or her work. Do not think that people might think that you are too strict in dealing your staff; it is just for the betterment of the service you are offering. Because, if people will notice that you are doing your job efficiently, your business branding will be on top of the competition and your name will be known as someone who has appropriate staff. While availing the services of catering services, of course, the first advantage that would come up into our minds is that we can save time if we hire caterers. In order to do other preparations, we must conserve our time well, and this is why we need catering services in our life so much especially in big events and parties. You may also see the Makeup Artist Business Cards. 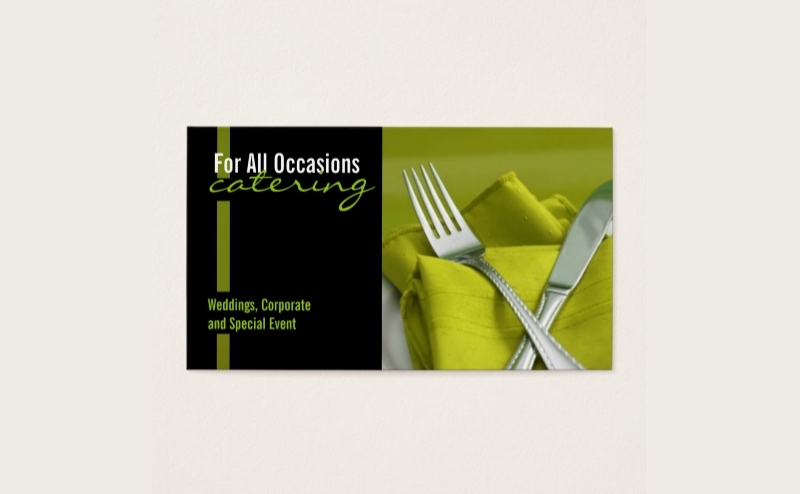 The caterers are the ones who will burden the hassle of food preparation and serving of food. Clients must be thankful because, through catering, they can somehow lessen or avoid the hassle in terms of food. Because caterers are expert in the field of menu preparation, we can rely on them to provide us a variety of menu that we can choose from. Since they are already old in the industry, they already know what food is best sellers and what food do mostly want during a certain event. 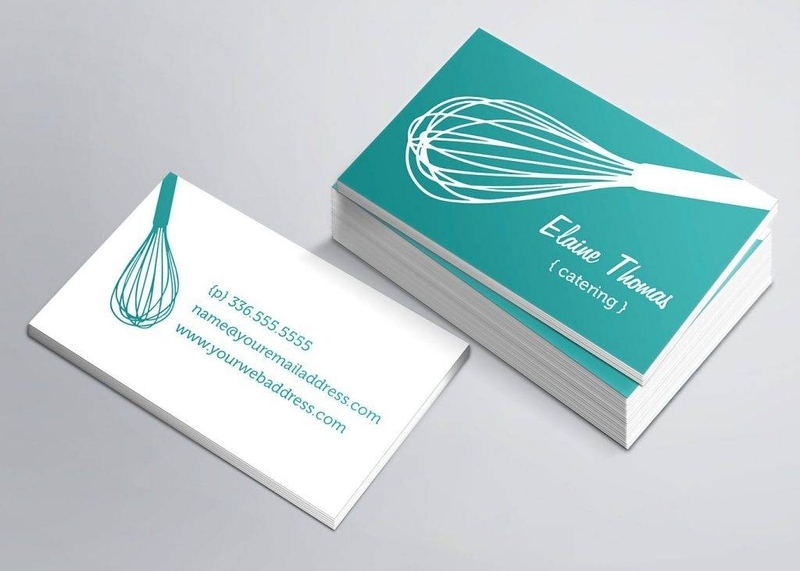 You may also see the Personal Business Cards. When hiring catering services, you need not worry about the food and the presentation and serving since we can be sure that they are already experts in what they do and that they have already poured so much time mastering the catering services that they are offering. It is a common knowledge that catering always comes with good food presentation and people always tend to expect that it should always be that way. Failure to meet people’s expectation would lead to their dissatisfaction and eventual loss of more clients. Hiring a catering entity could also lead to great impression by the visitors and guests especially when the client wanted to impress his visitors. As the popular quote goes, “the first impression lasts.” Working on the first impression is the same as leaving a mark on the visitors and making them remember the good thing about the client. 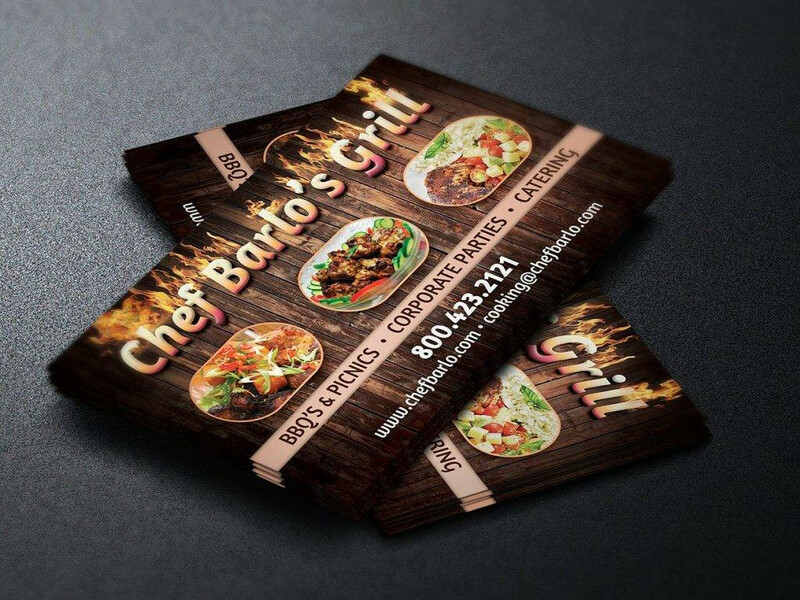 When the catering is done well, visitors can focus on the activity or event and will not be bothered by the food.You may also see the Real Estate Business Cards. 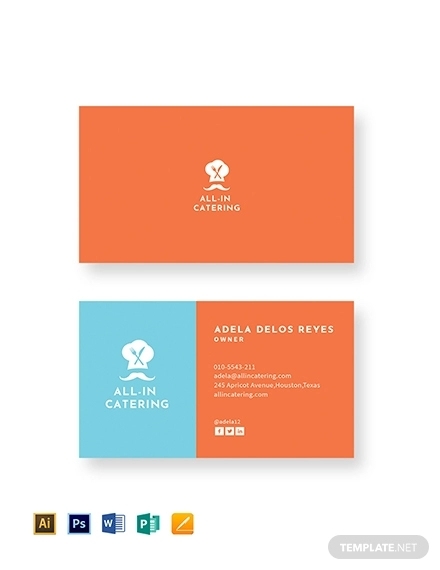 Sometimes, we focus so much on the design and on how to enhance the overall appearance of our business card that we tend to forget some of the basic information. Name, address, contact number, and services offered are some of the important information that must be placed on the face of our card. 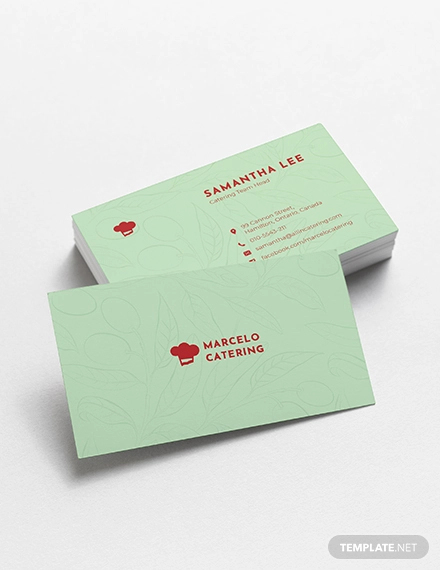 While designing your business card, choose fonts that are readable and at the same time look formal and professional. Moreover, don’t forget to connect it with the type of business you are in. 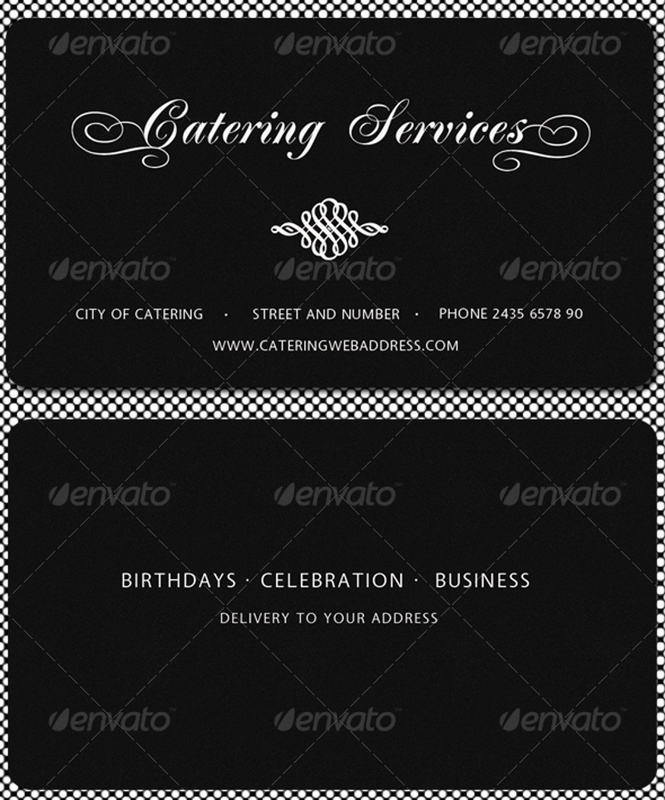 For example, if you are a catering business, the font must be kind of formal but playful at the same time. Better consult graphic designers in choosing fonts or you can check out the above examples. 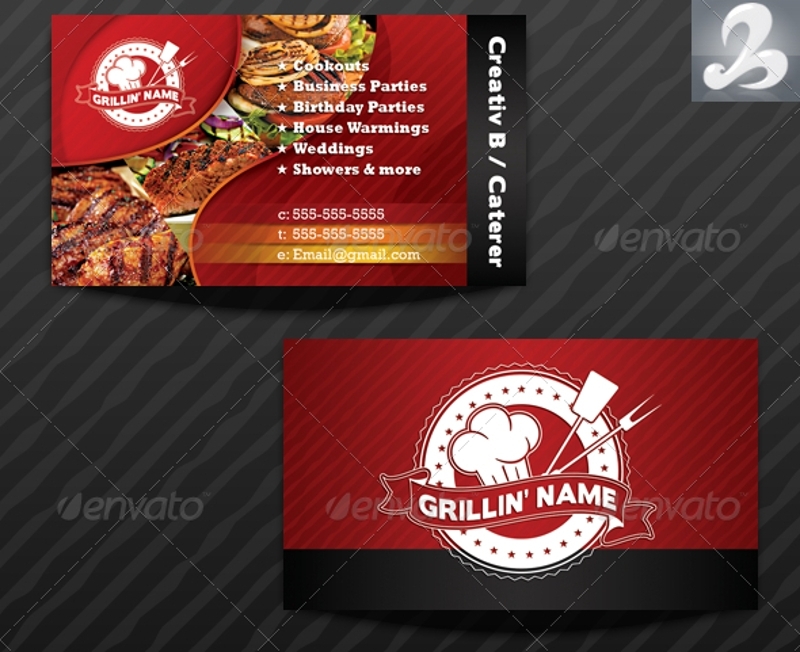 You may also see the advertising your business cards. The first thing that will catch a person’s attention is the way your card looks like. They won’t bother reading the whole thing if their attention will not be caught by the card’s design. 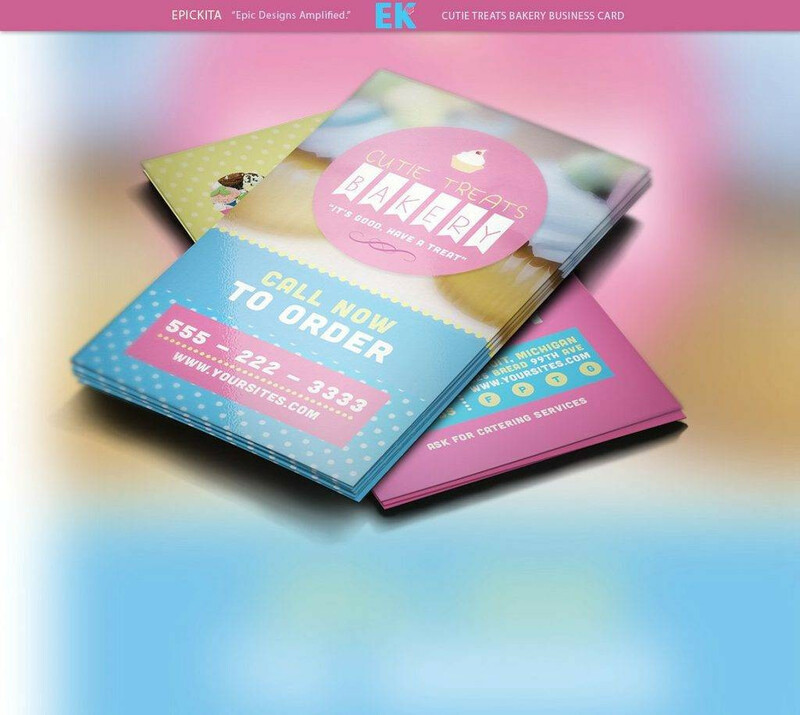 While content is very crucial in one’s business card, the design is of equal importance since it draws people to take a glimpse at your card. At times, when we want to make our business cards attractive, we tend to go overboard and put heavy decorations on the face of the card. In this regard, we must know our limit. For example, too many colors will distract the readers’ focus because instead of focusing on the content, the reader’s focus will be on the colors. This would also lead to the informality of your business card. Better use two or three colors only. 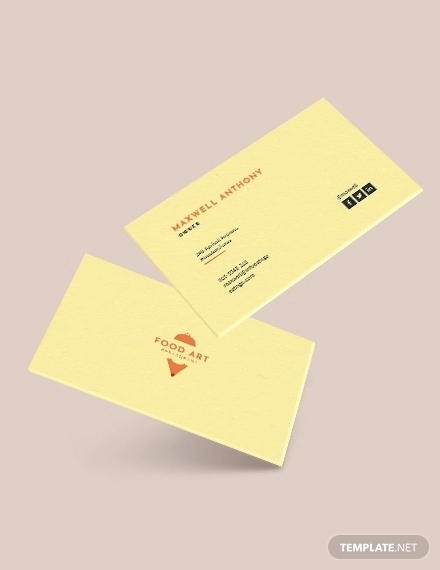 Do not just settle for a dull, boring business card. You might work on special finishing to have a unique appearance that is distinct from all the others. 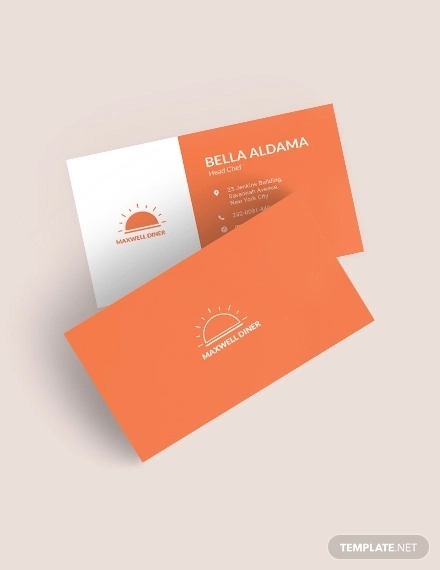 An example would be a business card that will serve as a paper holder or a name card that is of a different shape than the usual rectangular ones. But, always remember to keep your designs minimal and do not go overboard. 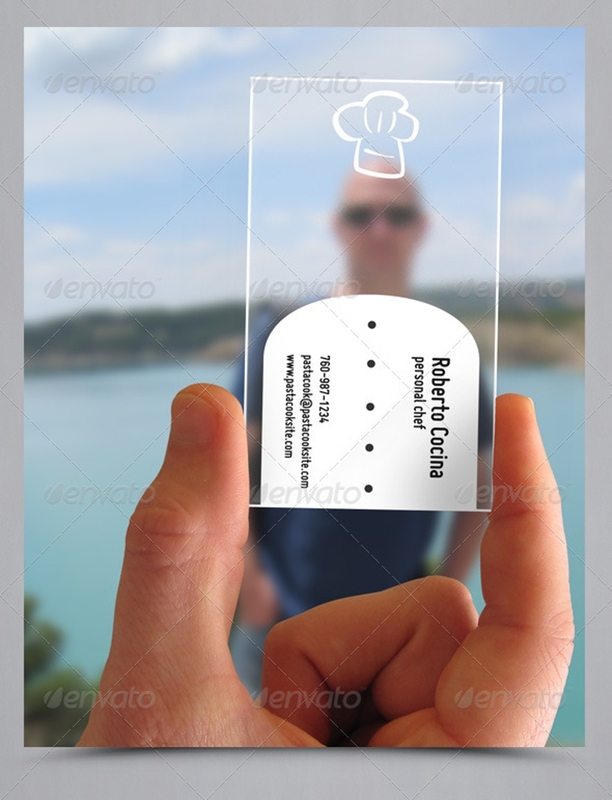 After layout and design, most companies would only stop there and start on the mass production of the business card. However, that shouldn’t be the ideal way. After creating the design, ensure that you will always do minimal edits and check for grammatical errors as well as the colors of the fonts and design. 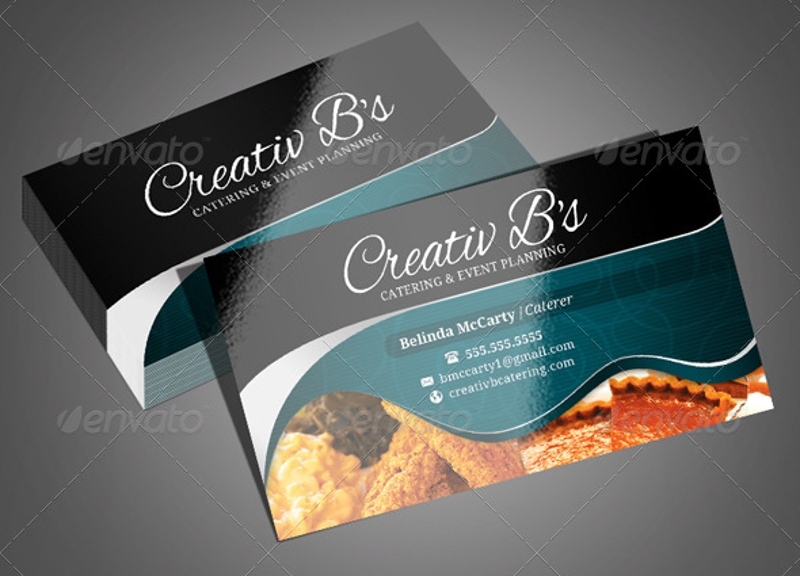 If you are not yet satisfied, no one can stop you from running the third check on your business card design to ensure that everything is placed well and that the information placed are free from errors.